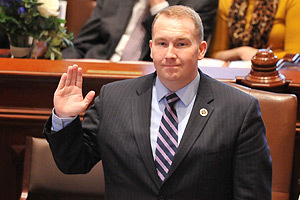 SPRINGFIELD — One of the Illinois Senate’s newest members, State Senator Scott Bennett (D-Champaign) is excited to begin the start of the 99th General Assembly. 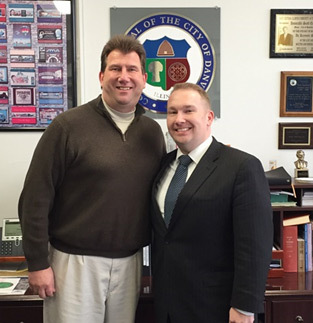 Bennett was sworn in Monday in Champaign to fill the vacancy left by Treasurer Michael Frerichs. 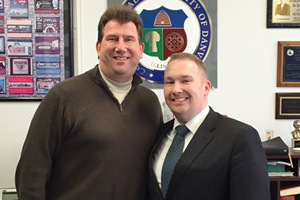 DANVILLE — After being sworn into office on Monday, State Senator Scott Bennett (D-Champaign) headed to Danville to meet with Mayor Scott Eisenhauer. They discussed the importance of keeping funding for key projects in Danville, such as the remodeling the David S. Palmer Arena and on going dam removal initiatives.